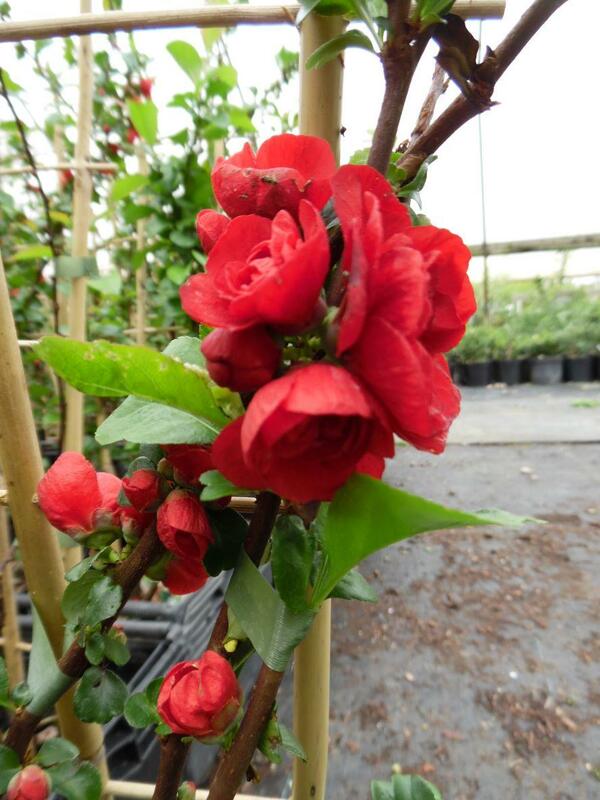 Chaenomeles Scarlet Storm is a deciduous thornless flowering quince with oval to oblong dark green leaves. 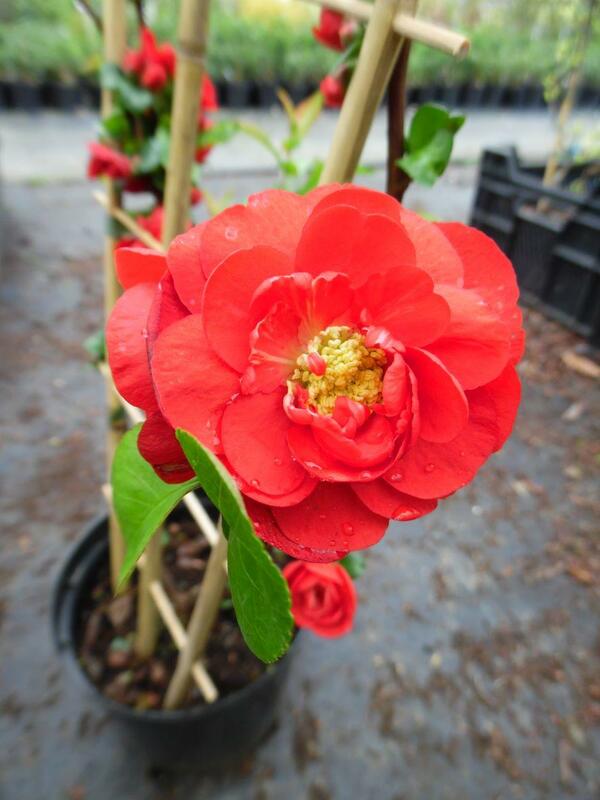 Produces large showy double red flowers in early spring giving good spring colour followed by no fruits. Drought tolerant when established. 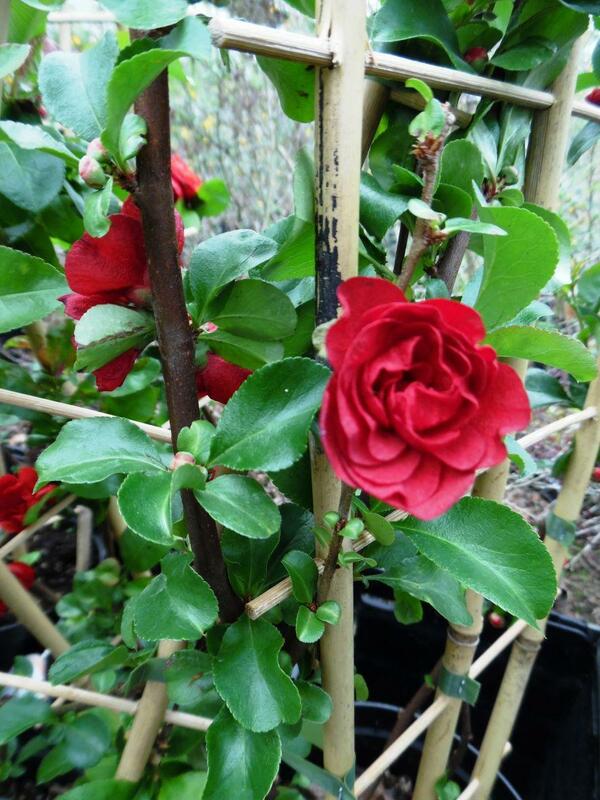 Can be planted in full sun or part shade conditions. Eventual height and spread 1.2 to 1.5 metres. The 3 litre pot size of this plant is supplied on a 45cm approx. 18 inch frame.